Magnificently sprawling either side of the Danube between the Buda hills and the Pest plain, Budapest is utterly alluring. Once the equal to Vienna, Budapest is a European capital that appeals to everyone. Students overrun the city’s numerous hostels attracted by the cheap and hip nightlife. Couples get romantic at plush restaurants serenaded by violins. Families take group photos in front of stunning panoramas. Architecture lovers and history buffs will enjoy unusual sights from the Romans and the Ottomans to the Habsburgs and the Soviets. Those seeking calm can immerse themselves in the numerous natural spas on which the city is built. Whatever it is you’re after, you’ll find it in Budapest, one of the few European capitals left where you can still bag a four-star bargain. After admiring the silhouette of the neo-Gothic Hungarian Parliament – a prime example of 19th-century Hungarian ‘National’ style – don’t miss out on the interior which is just as opulent. Every square foot has been painted, as if the walls have been covered with an elaborate chintz tapestry. Make your way to Szentháromság tér (Trinity Square), where the heavily ornamented spires of the Matthias church are a perfect match to the wedding-cake turrets of the fin-de-siècle Fisherman’s Bastion. Enter for the most jaw-dropping views of Pest framed naturally through the bastion’s balustrades. 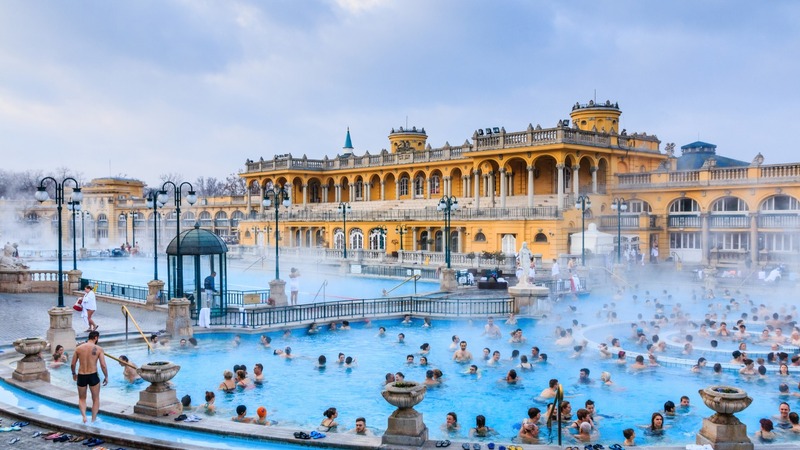 Built on several thermal springs, Budapest sports many public baths. 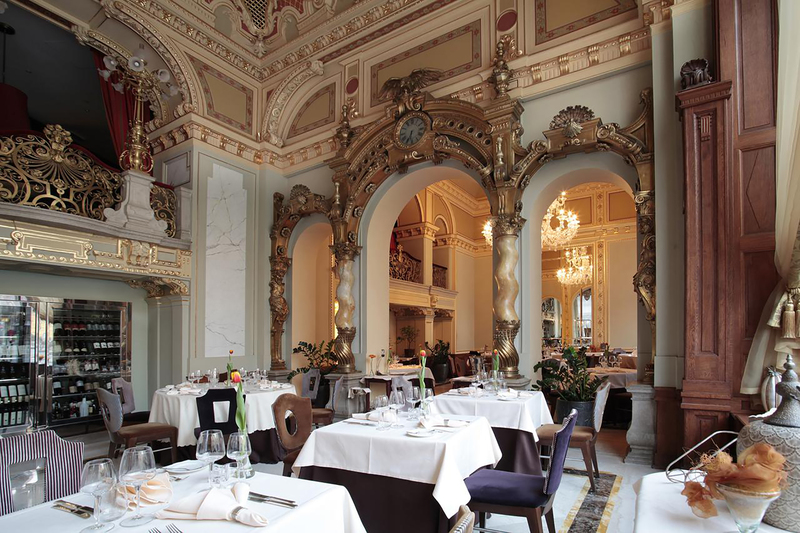 None is more lavish than Gellért, an Art Nouveau wonder, where you bathe in four plunge pools set among green twisted columns and ceramic wall mosaics. For a more local feel (and the archetypal image of old men playing chess while wading), try the Széchenyi baths. Budapest’s unique selling point, the ruin pubs, started as semi-legal drinking holes in abandoned buildings. Uproariously kitsch, as if decorated from a local jumble sale, they immediately defined shabby chic and caught the imagination of Europe’s scenesters. 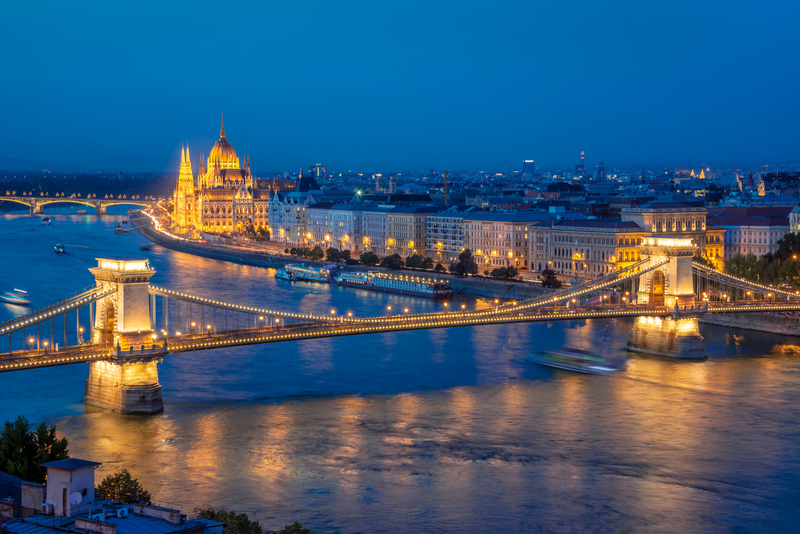 Budapest, rightly dubbed “Queen of the Danube”, is best observed from the river, and there is much to see on cruises starting from Vigadó square to the Danube Bend. The boats pass through an idyllic, village-mottled valley all the way to Esztergom, a historic Baroque town, where you stay for a couple of hours before returning. Buda is the “Austrian” half of the city and it’s a quiet, residential, hilly part of town that’s unremarkable suburbia except for Castle Hill that oozes Austro-Hungarian nostalgia and sports unmissable attractions. 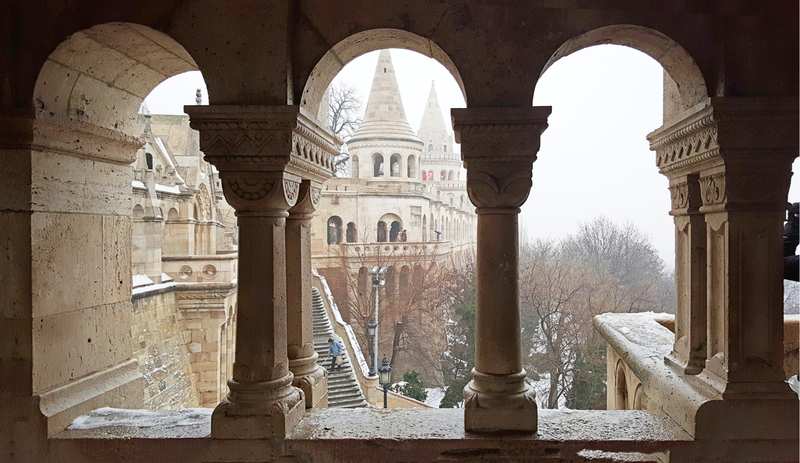 There’s a string of museums housed in the old Habsburg palace, the neo-Gothic Matthias church and a grand viewing terrace at the Fishermen’s Bastion. The sightseeing centre of Pest is spread between the Margaret and Freedom bridges. On Kossuth square you’ll find the majestic Houses of Parliament and below the square, an underground museum of the 1956 revolution. Further south rises the Italianate St Stephen’s Basilica, the landmark Iron Bridge, plus the restaurant and shopping area around Vörösmarty square. The historic Jewish quarter, with several synagogues still standing is where much of the nightlife is concentrated. The district’s ‘ruin pubs’ helped make the area cool, but they’ve also been a catalyst for gentrification and price hikes. Terézváros feels as if it belongs to a different city, because of the mass of construction before Budapest’s 1896 millennial celebrations. Andrássy Avenue, the capital’s most beautiful boulevard leads to the massive expanse of Heroes’ Square and the municipal park of Városliget. Underneath Andrássy Avenue runs metro line 1 – the oldest in the continent and a UNESCO site – with stops at the Opera and the House of Terror, a sobering museum on the grounds of the Communist Secret Police headquarters. The southern part of Buda, opposite the Elisabeth Bridge, is marked by Gellért Hill, at the foot of which lies the eponymous hotel whose opulence is the stuff of legend. 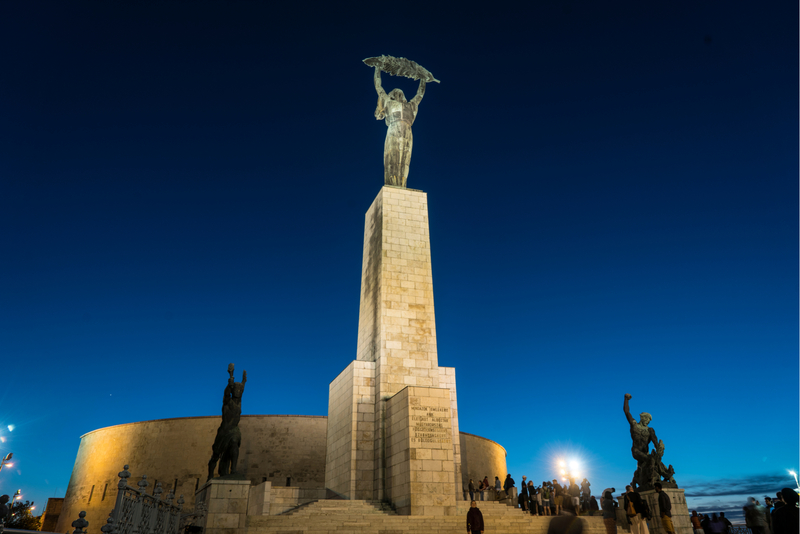 Its top is crowned by the Citadella, a fort built by the Habsburgs to keep an eye on revolutionary Pest, and the large Victory statue – one of the few Soviet-era monuments still standing. The locals call it irreverently ‘the bottle opener’ and if you look from below, you’ll see why. If you care about nightlife, you should stay in Pest. The hottest address in town is the New York Palace, a 19th-century architectural masterpiece, now restored, where Imperial Austria-Hungary comes alive. Next to St Stephen’s basilica, Aria styles itself on a musical theme with a stunning reception floor that unfolds like a keyboard. It’s furnished to spoil and delivers the best rooftop vistas in Pest. 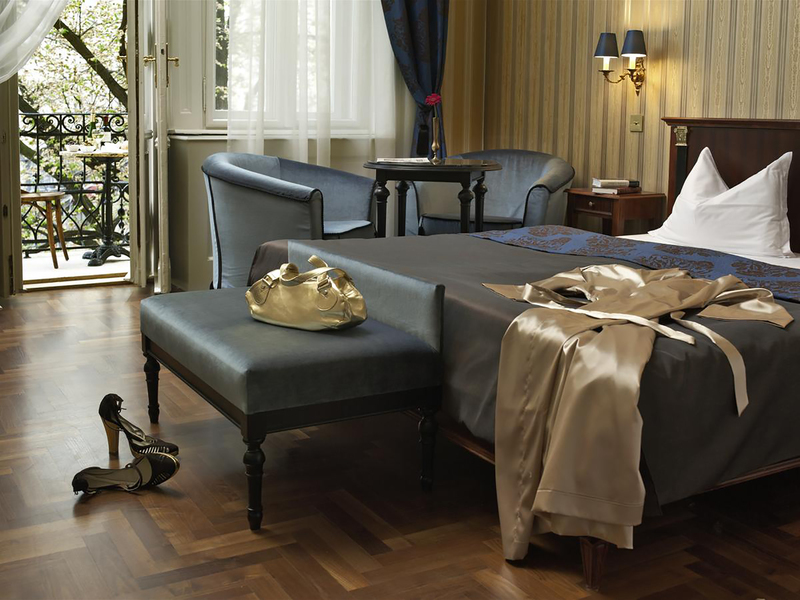 Although just a hop, skip and jump from the central artery of Kossuth Lajos, the boutique Gerlóczy Rooms de Lux faces a beautiful, quiet square that has doubled for Paris in Spielberg’s Munich. If you’re on a budget, check out the no-frills Cosmo City, dead on Váci utca, Budapest’s legendary shopping street. It combines quirky furniture with cheerful functionality. There are two great reasons to lodge in Buda. If you want to make full use of the city's spas, make a beeline to the glorious Danubius Hotel Gellért that shares its building with the legendary baths (operated separately). 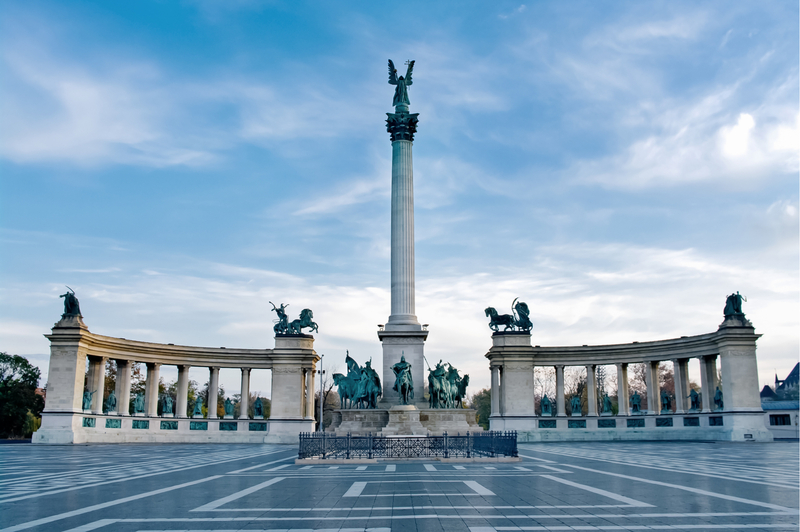 For stunning views, curl up at the Hilton Budapest next to Fishermen’s Bastion, hard to beat at such low prices. Goulash – meaty, paprika-rich and filling – is what you would associate with Hungary and, yes, you’ll find it on the menu anywhere you sit down. Hungarians consider gulyás a soup and not a beef stew, which they call pörkölt. 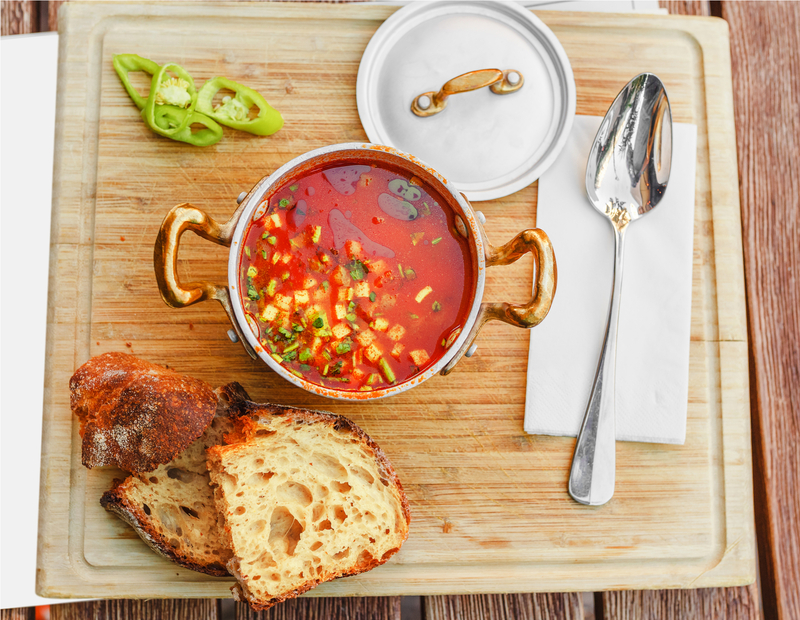 Try goulash in Menza on Liszt Ferenc square, a gourmet bargain that’s a one-stop showcase for regional Hungarian recipes (somehow it only exists on the Hungarian-language menu). Hungarians are hot on game and popular Kacsa on Castle Hill serves duck, venison and pheasant dishes in sumptuous surroundings, complete with romantic violins. If you want more fusion, snag a seat at Kőleves at Kasinczy street, a lauded and friendly restaurant that offers Hungarian tapas, chickpea fritters with quinoa and a celebrated pistachio tiramisu. Like Vienna, Budapest is proud of its patisseries (cukrászda). Visit the grandest of them all, Gerbeaud on Vörösmarty square, to taste the two major Hungarian contributions to confectionary: dobostorta, a caramel-topped sponge cake or esterházytorta, a walnut and chocolate layered cake. Finally, if you are stuck hungry while sightseeing in Buda, Vár at Dísz square is a surprisingly good self-service bistro for the prices. As hordes of backpacker pub crawls can attest, beer (sör) in Budapest is good and cheap, but find some space for wine (bor). 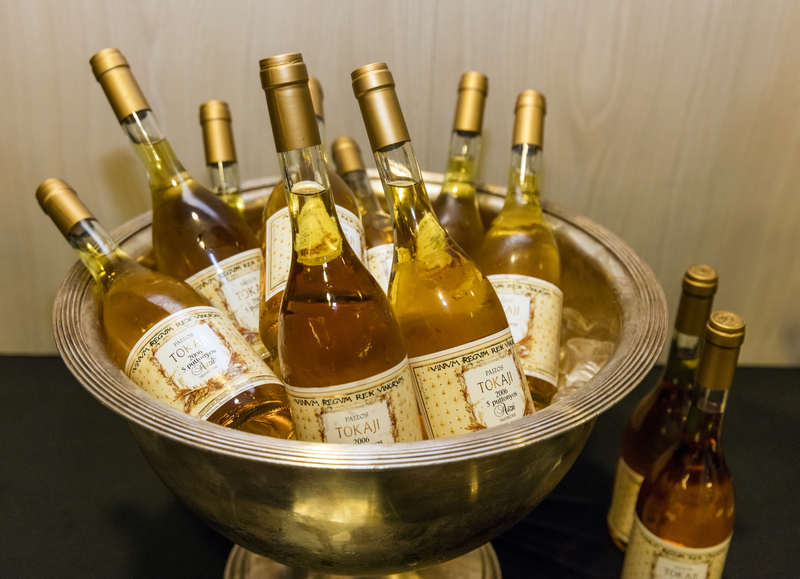 Bull’s Blood (egri bikavér), once synonymous with cheap plonk, is now tightly regulated, while the sweet Tokaj, described by Louis XIV as “The king of wines and the wine of kings” is the only eye-wateringly expensive drink in the whole of Hungary. Much cheaper (and far more strong) are the baracspálinka or silvapálinka apéritifs, made with apricot and plum juice respectively. Go window shopping: along Vaci utca down to the imposing Central Market Hall, a neo-Gothic roof-covered market. Before you start wolfing down the appetising street food, pick out the Kmetty & Kmetty stall – still decorated with a picture of Margaret Thatcher – that welcomed the Iron Lady in 1984. 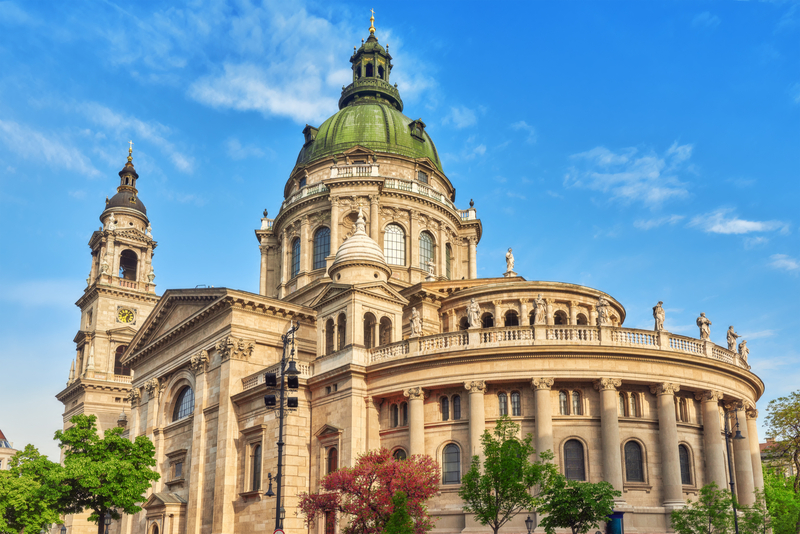 Go on a Jewish pilgrimage: Lose yourself in the grandeur of the Dohány street synagogue, the world’s second largest after New York’s. Pay your respects at the Garden of Remembrance and the attached Jewish museum. Explore a local favourite: You can hang out at Gozsdu Udvar all day and never get bored. This cluster of six interconnected courtyards houses everything under the sun: bars, clubs, restaurants, clothes boutiques, second-hand shops – even a popular Escape Room. Amble through Castle Hill: Start with the Matthias church, another building that typifies the ‘Hungarian National style’ along with Parliament, admire the view from Fishermen’s Bastion and continue to the exquisite Buda Palace, whose wings house the National Gallery and the History Museum. See the Citadella: From Castle Hill take the 19-century funicular railway down to the Chain Bridge and walk along the Danube to Gellért Hill. If you’re fit and game, climb up to the Citadella, else take a quick cab to the top. 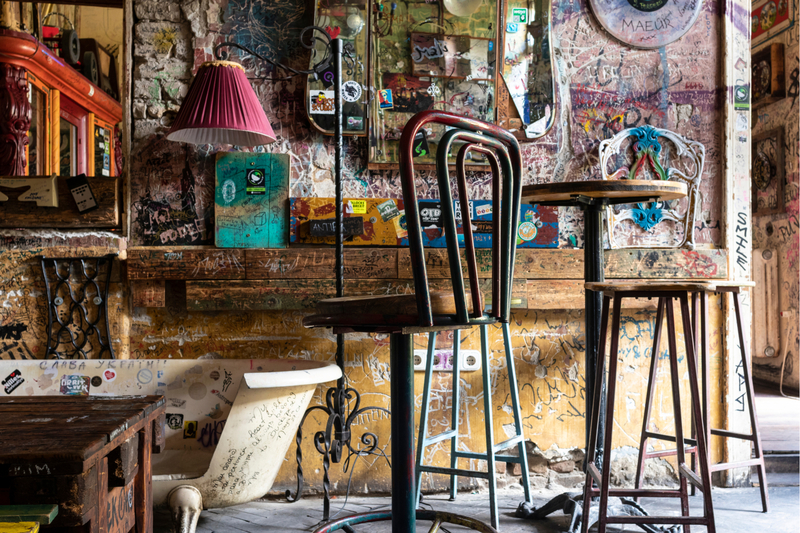 Take a tipsy tour: Nowadays, big ruin pubs like Szimpla Kért or Fogas Ház pack them in like sardines, so take the ‘tipsy tour’ offered by the Budapest Underguide to visit a selection of boltholes off the beaten track and enjoy the mother of all pub crawls. Have a history lesson: After the Soviet collapse, the Hungarians transferred the best Communist statues to the open-air Memento Park, one of Budapest’s biggest attractions. Ride the children’s railway: Take tram #61 from metro station Széll Kálmán tér to the final stop at Hűvösvölgy and buy a ticket on the railway that runs for 7.5 miles through the forest and – bar the driver – is operated by schoolkids. Splash out in style: For sheer theatricality the dramatic, chandelier-bedecked New York Café trumps every Budapest restaurant. Allow yourself one indulgence and nab a table at what used to be the haunt of Hungary’s intelligentsia.